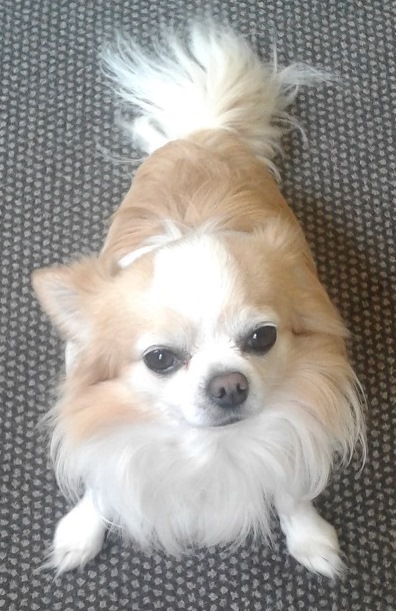 A friendly canine welcome awaits people when they come into our place in Barrington St. Iwa, (pronounced Ee-waa), a chihuahua, comes to work each day with Vicky, our receptionist/administrator and spends his time keeping staff company as well as providing a friendly distraction for clients. Research is showing that the mere presence of animals helps us to engage with new people and to cope with stress. We have found that a number of clients enjoy Iwa’s presence, and he helps them to relax a little in the stressful time of job search. Iwa seems to enjoy coming to work too, although he does look forward to the weekend, the same way the rest of us do!